1. Invite children to illustrate Psalm 104 or one of the creation hymns. 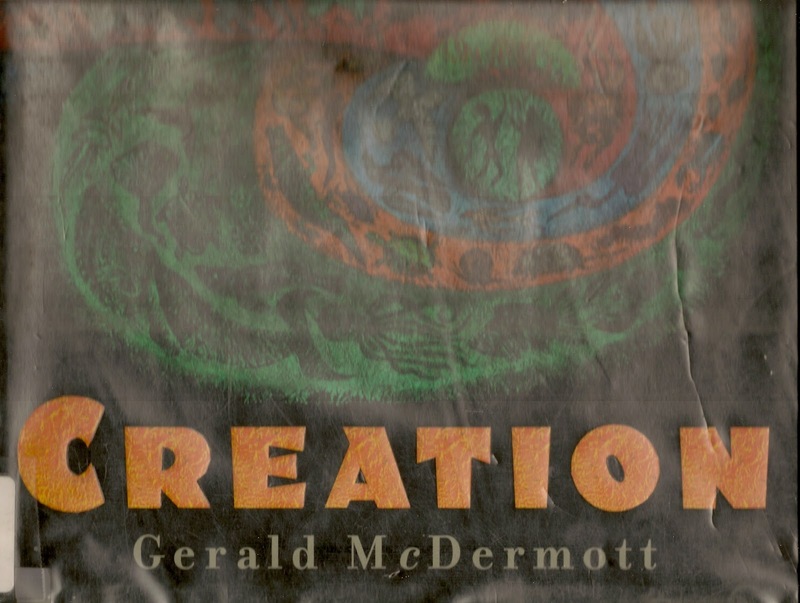 Use their illustrations on the cover and/or in the margins of the printed order of worship. 2. Describe ministries in which your congregation acts as servants to children in need, e.g. one local church packs small bags of food to send home on Fridays with children who depend on school meals for food and would probably go hungry on the weekend without these stashes. F Before reading today’s text from Job, review the story to date. Read verses 1-3 pausing to restate the situation and point out that the rest of the reading is a list of questions God asks Job. As you read emphasize the question words - who, where, how, etc. and pause briefly between each question to separate them. It would be possible to have the questions read by an invisible reader over the sound system. A booming male voice would keep with the dramatic style of this story. But, a motherly "let's talk about this" voice might be an interesting alternative. Whichever voice is used, it will suggest to literal listeners that God speaks in a loud disembodied voice. So, if you do this, be sure to address the possible misunderstanding immediately after the reading. F Focus on all the questions. Pause after reading each one to put it into your own words. Ponder together what God wants Job to think about. Point out that sometimes we think we are smart and have everything figured out, but we don’t. God is bigger than anything we can even imagine. F “Immortal, Invisible, God Only Wise” is packed with impossibly long words used to describe God who is more than anything we can image. So before singing the hymn together, invite worshipers to follow along in their hymnals as you read through it savoring selected words with brief comments. For example, “Immortal – that means God was never born and never dies. God always was and always will be. Invisible – we can’t see God. God only wise. Only God knows and understands everything completely….” Don’t get bogged down in any one phrase. The point is to paint a picture of God as more than we can imagine. Once you have read through all the verses, invite worshipers to sing to this amazing God. Look below in the resources for Psalm 104 for more child-friendly hymns praising God the creator who spoke to Job. F Highlight the opening of the Lord’s Prayer – “Our Father, hallowed be thy name.” Define the word “Hallowed” with reference to the questions God asked Job. God is different from any other being in the universe. God made everything and understands everything and loves everything. If the word Holy is carved or stitched into the front of your sanctuary, point it out and connect it to the word “hallowed.” If you sing “Holy Holy, Holy” today connect those “holy”s to this “hallowed”. Pray the Lord’s Prayer together immediately after this discussion. F Possibility: Add Job’s response to God in Job 48:1-6 to today’s reading to complete the conversation. When we do that we (and children who don’t remember much from one week to the next) hear immediately that Job understood God’s questions and got God’s point. Job admits that he is human and not God. He also appreciates that God heard his questions and accepted them. Going forward God and Job can talk honestly about whatever is important to them AND Job knows that God is always God and will always be more than Job can fully understand. If you do this, consider reading Psalm 8, possibly using the script offered last week at Proper 22 (Year B). It focuses less on the Creator and more on the relationship between the Creator and people. F This is the third reading in a lectionary series. If you have not read the earlier posts go to Proper 22 (Year B) and Proper 23 (Year B) for more ideas related to exploring Job in congregations that include children. F In the NRSV almost every line begins with the word YOU. Before reading the psalm, point this out and note that the YOU is God. The psalm writer is talking to God. Encourage children to listen for all the YOUs to learn what the psalmist was saying to God. 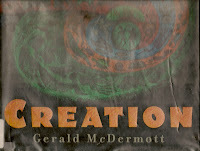 F Creation, by Gerald McDermott, is a beautiful picture book based on the first chapters of Genesis. It can be read aloud in about 3 minutes. With a smaller group of children seated together, I would read the book aloud and expect to be interrupted as children point out some of the creations they see. If you use projections, consider buying a copy of the book to scan and show as it is read. (If you do not share your scan with anyone else, I am told this not copyright infringement.) The last page of the book says “I am all this. ALL THIS I AM.” which is a good connection to what God said to Job. Both of the above praise the creator who by rights can ask Job the questions God does. Job could have sung either after his encounter with God. Describes the partnership between God the creator of all and we humans who are created in God’s image. 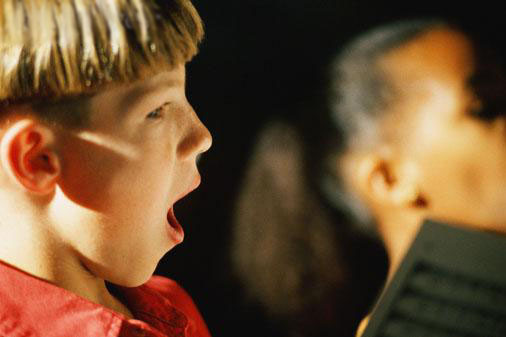 The repeated chorus can be sung by even non-readers. This is a very complex passage for adults to read and understand. It is filled with vocabulary and ideas that are unfamiliar to most children. If you read it hoping the children will understand at all, try the Good News Bible translation which at least uses words children recognize. Or read it from another translation mainly for the adults. F This is a tough psalm for adults who are aware of Job-like suffering all around them to understand and almost impossible for literal thinking children to grasp. I’d skip it today given the other texts. F Go to 26th Sunday in Ordinary Time (Year C) for ideas for singing 3 hymns that carry message of this psalm better that the psalm itself does. F This letter is written to the Hebrews, people who knew exactly what a priest was and did. They understood the writer’s message immediately. It made deep sense to them. But, High Priest is not the best name with which to describe Jesus to today’s children. For them a priest is what you call the staff leader in some Christian denominations. Still, some older elementary school children are interested in what the ancient priest did and can hear how Jesus is like that priest. But, they need a detailed explanation of those priests and the sacrificial worship they led. Even then, they have trouble. The practice of killing an animal to tell God you are sorry does not make sense to them. They can’t imagine that God would be pleased by that or that God would require that in order to forgive us. The only way to present it is as something people used to think that we now think differently. Compare it to the fact that people used to think the earth was a flat pancake, but we now think it is round ball. F After exploring what a high priest is and does, add the title High Priest to your Hebrews poster of words about Jesus. Draw a cross at the beginning and end of the word. F This is a good story for a children’s class to pantomime as it is read or to present as a play. Jesus sits in the middle of the chancel. James and John approach from one side. The liturgist acts as the narrator. The “other disciples” could be imaginary or could provide roles for a bunch of children so that there is a role for all in the class. F Where you sit at the table is important to children. They want desperately to sit near Grandma when she visits, to not be the one who has to sit on the piano bench or at a kid’s table when company comes, and to not have to sit with “them” at lunch at school. They know that the other disciples were not so much shocked at James’ and John’s request, but they were upset that those two got their request in first. F This story asks us to explore what it means to be a leader. 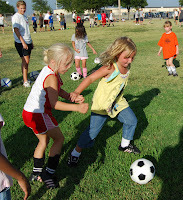 Children want to be the line leader, the class president, the team captain, etc. Leadership is presented to them from an early age as being desirable. It brings honor, titles, and special privileges. Jesus has a different definition. Jesus agrees that it is good to be a leaders but says that a leader is a person who puts the needs and wants of others before his or her own. Children struggle with this difference in definition. 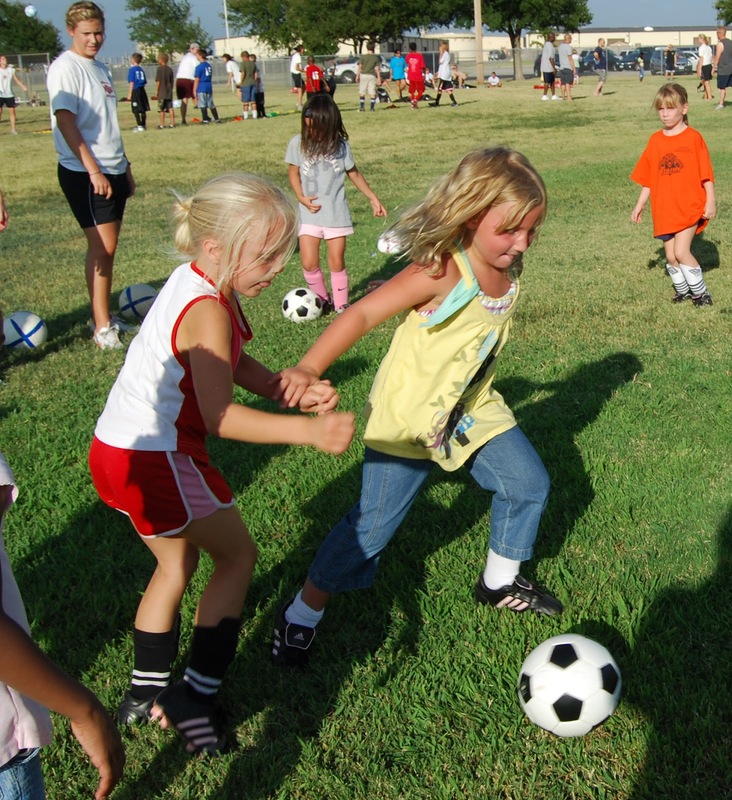 Much time is spent by coaches of children’s sports teams teaching them to play as a team. It is hard for children to learn the value of passing the ball so another player can score rather than holding on to the ball desperately trying to make the score on their own. Leaders are people who give up their own glory for the good of the team. 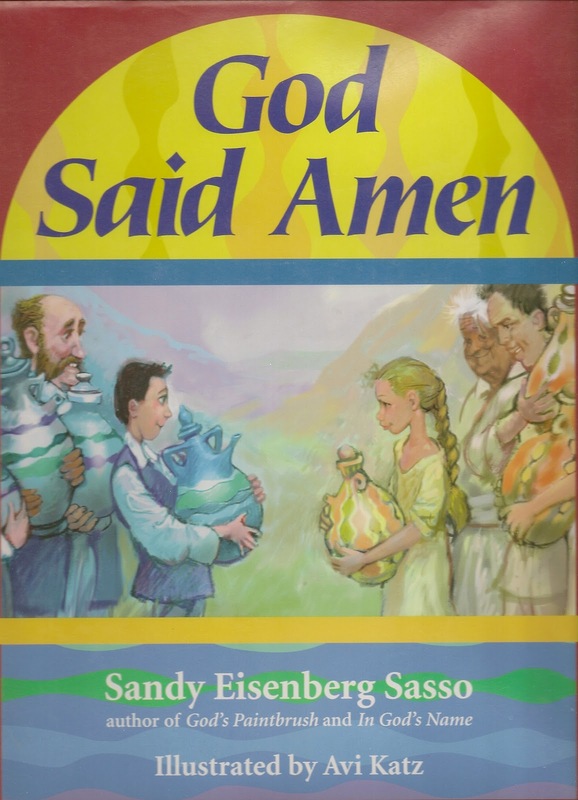 F God Said Amen, by Rabbi Sandy Sasso, tells of two kingdoms one with water but no oil and the other with oil but no water. Unfortunately, the rulers of the two are so intent on being the first to be approached by the other that nothing happens. They finally turn into stone mountains while they wait for the other to make the first move toward sharing. Two children looking for the missing rulers find each other and work out a sharing deal that benefits all. They are real leaders who are willing to look for answers in new places. It takes 10 minutes to read aloud. For a shorter presentation select one or two pictures of the stubborn Prince and Princess to show as you tell the story of their leadership failure in your own words. F Tell stories about leaders who have risked or suffered for others. Tell about Martin Luther King who was killed by a person who did not like what he was saying, Nelson Mandela who spent 25 years in prison because he stood up to oppressive leaders in South Africa, Aung San Suu Kyi who spent 15 years in house arrest for standing up to oppressive leaders in Myanmar, etc. F I heard this supposedly true story about leadership attributed to Kenneth Bailey: When King Hussein of Jordan was told that a group of young officers were at that moment meeting in their barracks to put final touches on a coup and was asked whether they should all be arrested and/or killed, his response was to order a small helicopter, fly to the roof of the barracks, tell the pilot to leave immediately if he heard gunfire, and then to go down the stairs and walk into the room where the officers were gathered. He told them that if they did what they were planning, there would be civil war, chaos, and that hundreds maybe thousands would be killed. Rather than risk that, he suggested that they shoot him now. That way only one person would die. The officers all knelt, kissed his robe, and re-swore loyalty to him.